Cheating partners can be a real problem, for males and females, at any stage of life. There are many obvious and subtle signs which indicate that your mate might be cheating on you. It does not matter if you are a man or woman, gay or straight, statistics show that many partners cheat and it is in your best interest and safety to be aware of any infidelity which may occur. This discussion examines how investigative services can solve the mystery of suspected infidelity and why it is always best to know for sure how faithful your partner truly is. Unless you have concrete proof of cheating, it is best to observe and say nothing. Premature accusations will often result in careful behavior by your suspected mate and you may never learn the truth about their possible infidelity. It is far better to collect evidence on your own and then contact a qualified private investigator. They can open an adultery investigation for you and discover if your partner is cheating definitively. The investigator will use surveillance techniques to follow the suspected cheater and will document all unethical activities with surveillance photos and video evidence. Most of all, the detective can act as a witness to your partner’s actions, should the investigation provide enough evidence to warrant divorce proceedings. Desires to go out alone socially. Large amounts of unexplained time away from home. Seeks privacy when on phone or online. Works-out more often or changes personal style. Cell phone turned off or goes to voicemail often. Dresses differently or buys unexpected cloths or lingerie. Caught lying about seemingly unimportant details. Overly inquisitive about your schedule. Removing wedding ring or photos from wallet. Unfamiliar items found in car or among personal possessions. Large credit card bills or frequent ATM withdrawals. Decreased or increased sexual interest. Sudden changes in plans or schedule, especially working late. Suspicious text messages or emails. Suspicious names added on cell phone, email or chat. Unexpectedly does laundry or gets garments dry cleaned. Smells of perfume or cologne. Cheating is certainly a betrayal of trust, but it is far more than that. It is a detachment from the intimacy of a relationship and a threat to health and personal safety. Sexually transmitted diseases are a very real risk when you are in a relationship with someone who is cheating on you. 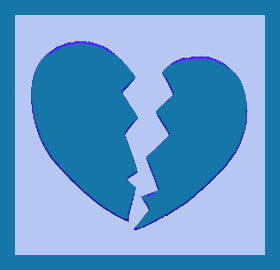 Additionally, your partners new love interest may have ideas of their own about hurting you or your family. Stalking is quite common in cases of infidelity and may become a criminal issue. No one wants to be played for a fool. It is always better to know if your love has found someone new, no matter how much it may hurt. This way, you can do whatever is necessary to secure your own protection and leave your wandering former lover behind.